Are you getting into The Word? More importantly, is The Word of God getting in you? How about your children or children you know? Think about it. Sure we have the right & the freedom to express our opinion but Christians, think twice. God bless & you, you bless God & LOVE your enemy. Psalm 100:5. The theme for this meditation from Psalm 100 is the steadfastness. How we can return to moments of unfailing love. And how we need look no further to find love than the unfailing presence of God. As a follow up from yesterday’s post, 👉What is a Sextant & How is it Used?👈 , today i thought about how noise & light pollution is such a BIG part of our world today. We can barley see stars in the sky anymore. They are still there, obviously, we just can’t see them because the lights from man made sources inhibit us from seeing the natural lights in the sky. Inspite of the noise & light pollution of this world God has taken the trash from my past & recycled my soul. Rather than getting caught up in sexting & other ways of this world I trust God to help me, His Holy Spirit & His Word, like a sextant to guide me in the right direction. 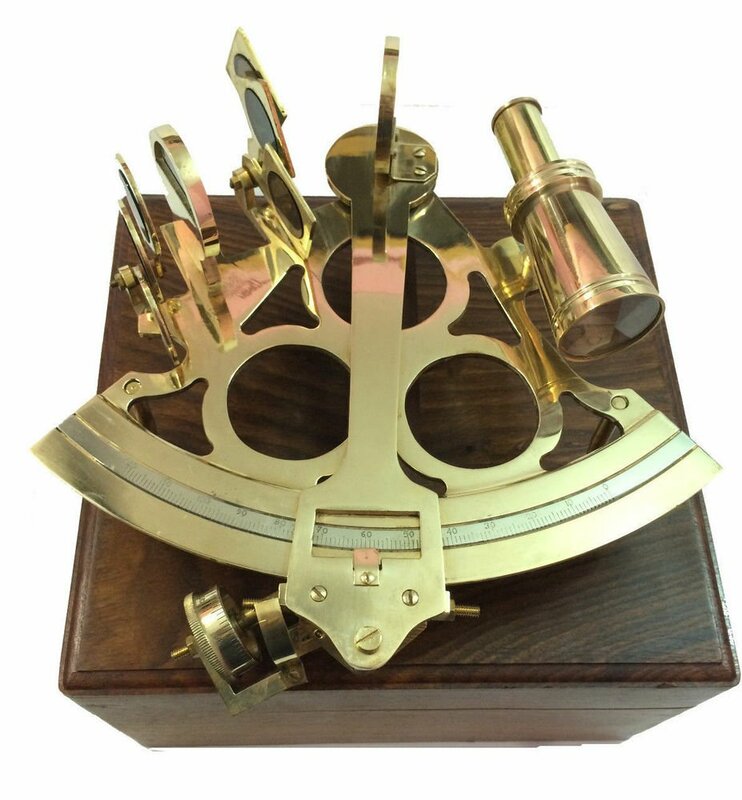 What Is A Sextant and How It Is Used? I realize people who do read my blog post, including me, don’t really care about what a “Sextant” is or how to use it. Below I’ll post what I found but the bottom line is what I’m interested in and I think my readers will find interesting. All a sextant is, is a device that measures the angle between two objects. The sextant allows celestial objects to be measured relative to the horizon. So ships use to use them to make sure they were sailing the right course. Basically it is an old old old school GPS. I find it fascinating & Share this because it is right inline with other articles I’ve written about how we have to rely on The Holy Spirit as our soul guide (Moral Compass & Megnetic North -https://wp.me/p6Exj2-3yw). God’s Word & His Spirit in us will never fail to get us to our final destination, at peace with Him. “Do not let your hearts be troubled. You believe in God ; believe also in me. My Father’s house has many rooms; if that were not so, would I have told you that I am going there to prepare a place for you? And if I go and prepare a place for you, I will come back and take you to be with me that you also may be where I am. You know the way to the place where I am going.” Thomas said to him, “Lord, we don’t know where you are going, so how can we know the way?” Jesus answered, “I am the way and the truth and the life. No one comes to the Father except through me. Follow the 1 and only bright and Morning Star. There’s nothing mystical or complicated about a sextant. All it is, is a device that measures the angle between two objects. The sextant allows celestial objects to be measured relative to the horizon. This allows for excellent precision. The sextant allows direct observation of stars which allows it to be used at night. For solar observations, filters allow observations of the sun. Since the measurement is relative to the horizon, the measuring pointer is a beam of light that reaches the horizon. The measurement is limited only by the angular accuracy of the instrument. The horizon and celestial object remain steady when viewed through a sextant, even when the user is on a moving ship. This occurs because the sextant views the (unmoving) horizon directly, and views the celestial object through two opposed mirrors that subtract the motion of the sextant from the reflection. The scale of a sextant has a length of one sixth of a full circle (60°); hence the sextant’s name (sextāns, -antis is the Latin word for “one sixth”. Sir Isaac Newton (1643-1727) invented the principle of the doubly reflecting navigation instrument (a reflecting quadrant but never published it. Two men independently developed the octant around 1730: John Hadley (1682-1744), an English mathematician, and Thomas Godfrey (1704-1749), a glazier in Philadelphia. The sextant makes use of two mirrors. With this sextant, one of the mirrors (mirror A in the diagram) is half-silvered, which allows some light to pass through. In navigating, you look at the horizon through this mirror. The other mirror (mirror B in the diagram) is attached to a movable arm. Light from an object, let’s say the sun, reflects off this mirror. The arm can be moved to a position where the sun’s reflection off the mirror also reflects off mirror A and through the eyepiece. What you see when this happens is one object (the sun) superimposed on the other (the horizon). The angle between the two objects is then read off the scale. What makes a sextant so useful in navigation is its accuracy. It can measure an angle with precision to the nearest ten seconds. Finding latitude is easy enough. The first thing you need to do is measure the angle between the horizon and the sun when the sun is at its highest point, which is right around noontime on your watch. A quick look at your trusty tables tells you which line of latitude the sun should be above on that particular day. For example, let’s say it’s noon on December 21, and the sun is directly overhead. Well, on that day the sun is above the Tropic of Capricorn, so your latitude would have to be 23.5 degrees S.
It’s a good thing, if you’re a navigator, that the Earth spins around at such an even pace. Every hour it moves 15 degrees. This means that if the sun is above the longitude of 0 degrees at noon, one hour later it will be above 15 degrees West. Now if you have a chronometer (this is just a fancy name meaning “extremely accurate clock”), you can find your longitude. Let’s say that the sun is directly overhead and your chronometer, which was set to noon when you were at 0 degrees, says it’s 3 o’clock position. This means that three hours ago the sun was overhead at this latitude at 0 degrees longitude. In those three hours, the sun moved 15 degrees 3 times, or 45 degrees. So you’re at 45 degrees West. Of course, the fact that the sun was directly overhead (which very rarely happens) made it especially convenient for finding your longitude, but you could have found your longitude anyway, with the help of your tables. Celestial navigation is the process whereby angles between objects in the sky (celestial objects) and the horizon are used to locate one’s position on the globe. At any given instant of time, any celestial object (e.g. the Moon, Jupiter, navigational star Spica) will be located directly over a particular geographic position on the Earth. This geographic position is known as the celestial object’s sub-point, and its location (e.g. its latitude and longitude) can be determined by referring to tables in a nautical or air almanac. The measured angle between the celestial object and the horizon is directly related to the distance between the subpoint and the observer, and this measurement is used to define a circle on the surface of the Earth called a celestial line of position (LOP). The size and location of this circular line of position can be determined using mathematical or graphical methods (discussed below). The LOP is significant because the celestial object would be observed to be at the same angle above the horizon from any point along its circumference at that instant. Acknowledgement: This instruction was compiled from data found in Wikipedia, the free encyclopedia on-line and other sources. Visit http://en.wikipedia.org/wiki/Sextant for a more concise explanation of the sextant and other navigation instruments. You may print this document for use as an instruction guide and for teaching. Let’s play word association. What is the first thing that comes to mind when I say the word: thanksgiving. Well, if Butterball has done their job, it’s probably a golden brown turkey with trimmings. We think of the word thanksgiving as a noun. A place, thing, an event. But in scripture, thanksgiving is more often a verb than a noun. Something we do more than some place we attend or something we eat. In Hebrew the word for thanksgiving and praise are often the same. For you is thanksgiving more about a turkey leg and dressing or about throwing and casting out words of praise to God? The theme for this meditation from Psalm 9 is thanksgiving. Pondering thanksgiving as a very more than a noun. Something you do more than an event you attend. Who do you know in a season of despair? A friend or wandering soul fighting ungrateful thoughts. Be mindful of how God might use you to toss out some words of thanksgiving to help another be grateful. Be watching for unexpected moments you might help someone be thankful. Ponder that and when you are ready, whether at the beginning or end of your day, be mindful of ways to turn thanksgiving from a noun to a verb. Look with expectation for moments to throw and cast out words of praise for all to hear for it will be then and there you will encounter the joy God. Let me pray this benediction over you now that you remember to give thanks to the Lord with all of your heart. That you tell of all God’s wonders. And that you be glad and exult in God. Singing praises to his name, O Most High. Now may the grace of our Lord Jesus Christ, the love of God, and the communion of the Holy Spirit be that which you encounter now and always, Amen. Copyright © 2018 Encounter, All rights reserved. This is a follow-up to yesterday’s post 👉Gratification In Gratitude👈click & let it click with all you know. Yes, I’ve seen you in the sanctuary; I’ve seen your power and glory. My lips praise you because your faithful love is better than life itself! So I will bless you as long as I’m alive; I will lift up my hands in your name. I’m fully satisfied— as with a rich dinner. I Thought about two words this A.M. – Gratification & Gratitude. May we find true satisfaction & gratification in giving gratitude to The Lord who has given us every good gift. Christ said, “Humans do not live on bread alone but on every Word that comes from God” -Spiritual food, that feeds more than our body. He feeds & satisfies our soul. He gratifies what really matters and lasts forever, our souls. May we be eternally grateful & show our gratification. I’ve noticed that I feel unclear or very unsure of things just before I’m falling asleep or just waking up. The anxious sense doesn’t over power or overcome me but there is no denying it. I’m not entirely sure why it comes over me but I praise God that it doesn’t overcome me. 2 Co. 4 has been a passage that has seen me through my life since I was a teenager. Now climbing ‘over the hill’ of the 50 year mile mark I praise God that although my feelings internally & sometimes external circumstances or even other people strike me down I am not down for the count, I don’t lose heart. But we have this treasure in earthen vessels, so that the surpassing greatness of the power will be of God and not from ourselves; we are afflicted in every way, but not crushed; perplexed, but not despairing; persecuted, but not forsaken; struck down, but not destroyed; always carrying about in the body the dying of Jesus, so that the life of Jesus also may be manifested in our body…. Along with 2 Co. 4 I am reminded by David that God is my help, my shield, my fortress. So, regardless of my feeling, times of doubt or the fog that seems to come & go I hold on to my faith in Christ & His Spirit rules my life. The inspiration for this post comes from my own searching, doubts, fear & times where I lack clarity. I’m no stranger to shame & false shaming that can only come from the father of lies. Praise be to God who always causes me to triumph, my Father of Light. If you feel foggy & surrounded by doubt here are a few things that helped me that you may also find helpful. When you are ready, whether at the beginning or end of your day, look with expectation for moments the Holy Spirit makes you mindful of the truth that God’s love and acceptance is the only value that needs to drive you. Tell shame you have no need of it. You are where you belong. Tell shame to now move along for you are at home now encountering the loving forgiving belonging arms of God. to a short guided meditation put together by “Encounter” (click the above, “listen now” button to safely go to their link). The theme for this meditation from Psalm 63 is overcoming shame. And overcoming it by accepting the truth that our creator accepts us. God knows our authentic and imperfect selves and yet he accepts us and finds us worthy of his love and belonging.